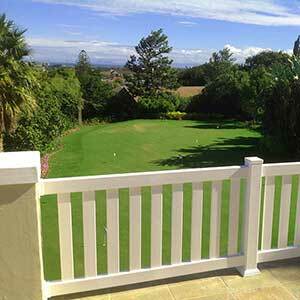 The Absolut PVC Fencing range is the perfect solution to your fencing requirements. Our PVC products will not rot, chip nor peel. 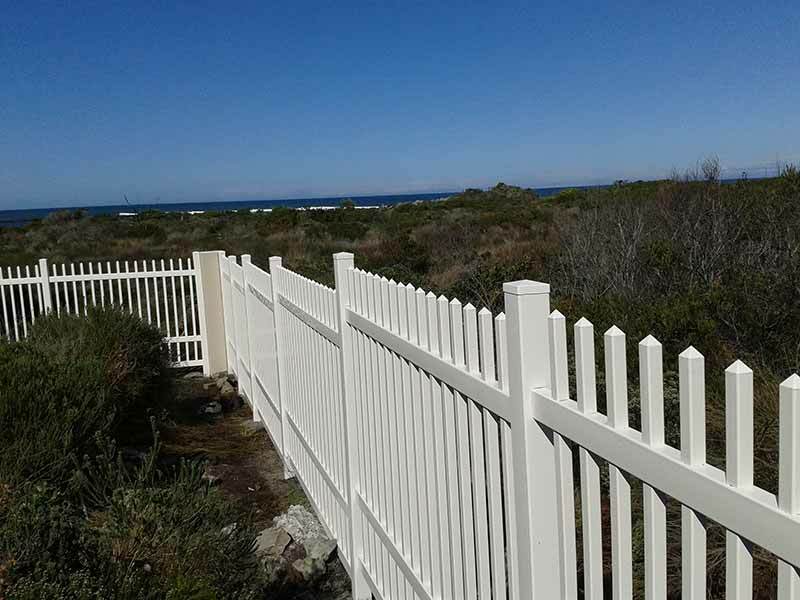 The PVC product does not need to be sanded, varnished nor painted. It will remain aesthetically beautiful from the day you install it for years to come. The Absolut PVC Fencing Range of profiles and accessories is supported by a 20 year guarantee. The PVC product is manufactured from Titanium Dioxide (TiO²) which guarantees that the product will be UV resistant. 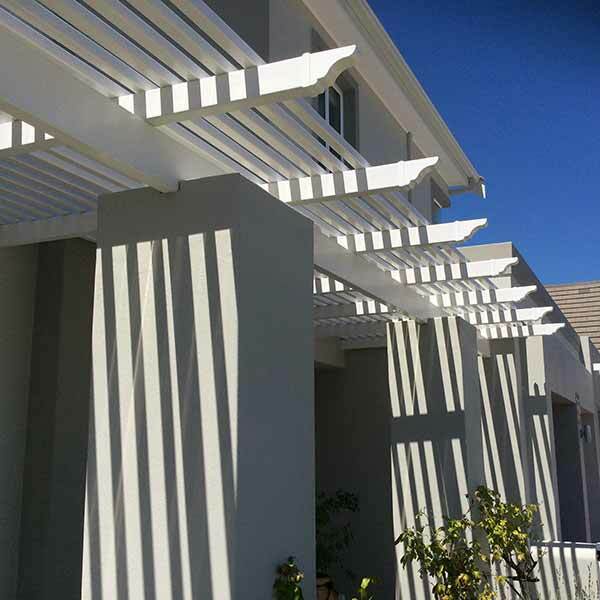 The guarantee also ensures that the PVC product will not crack, become brittle or deteriorate in any way, in the harsh South African Climate. 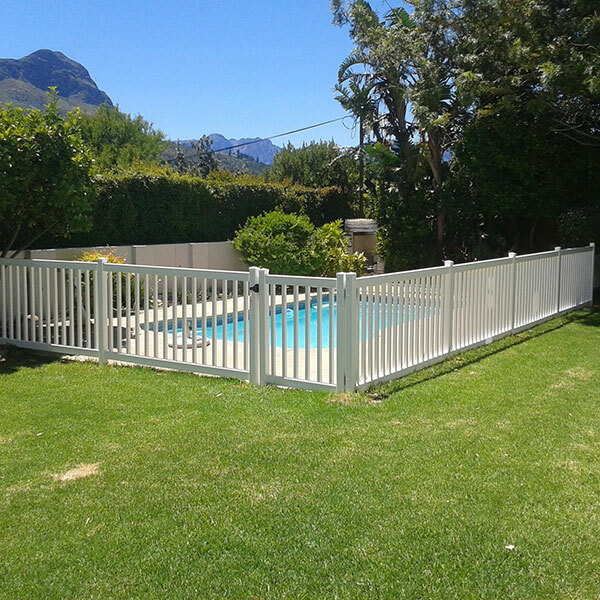 We strive to consistently provide honest efficient service from the initial enquiry through to the design and manufacture process and right up to the installation of your chosen PVC Fencing system. We have a long list of happy customers who we can call upon to provide you with feedback on our PVC Product and service delivery. For complete peace of mind put us to the test Today! 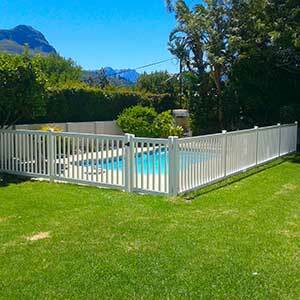 The Absolut PVC Fencing Range of profiles and accessories is supported by a 20 year guarantee. The PVC product is manufactured from Titanium Dioxide (TiO²) which guarantees that the product will be UV resistant. The guarantee also ensures that the PVC product will not crack, become brittle or deteriorate an any way, in the harsh South African Climate. 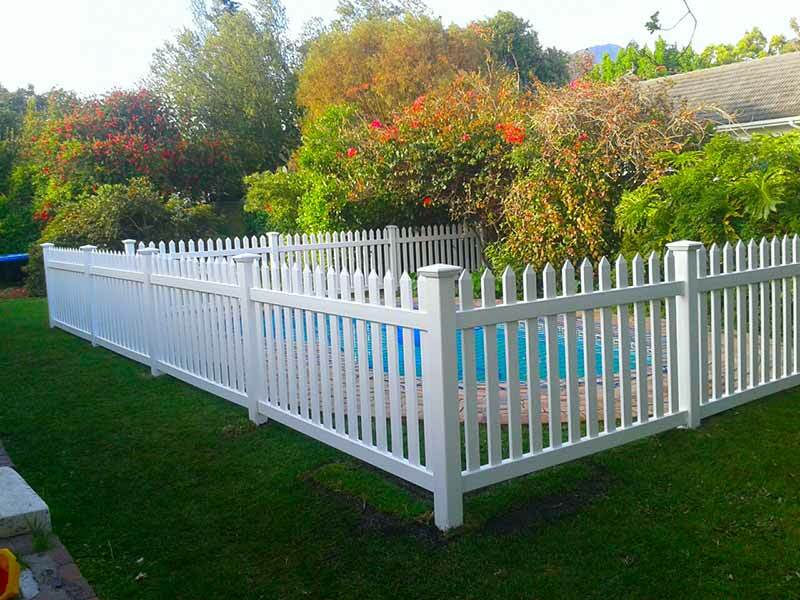 We strive to consistantly provide honest efficient service from the initial enquiry through to the design and manufacture process and right up to the installation of your chosen PVC Fencing system. We have a long list of happy customers who we can call upon to provide you with feedback on our PVC Product and service delivery. For complete peace of mind put us to the test Today! 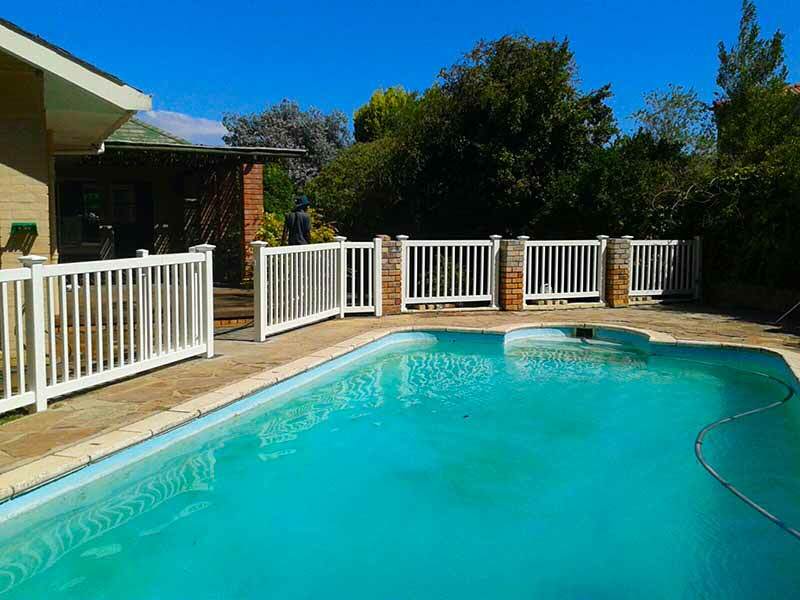 We have used Geoff and Absolut Fencing twice to erect fences at our holiday homes. Not only is the product of a superior quality and able to withstand the elements, but the personal service and attention to detail are both outstanding and of the highest professional standards. We can really recommend them. Just wanted to drop you a note to say that you guys are awesome, we are exceptionally impressed with the quality of service & professionalism. The installation transformed our home, we sincerely appreciate your responsiveness, punctuality and the way you conduct business. We are absolutely thrilled with the fence, please tell Geoff. It looks spectacular and I certainly feel much safer for the kids with that around the pool, rather than some flimsy removable thing. We are very impressed with this PVC product, and we’ll most certainly keep it in mind for future renovations. We’re really happy with the work done so far – it looks very smart, attractive and neatly finished off and seems durable too. The workmen have been extremely courteous and neat and careful of the garden, and I think the kids are going to miss them! 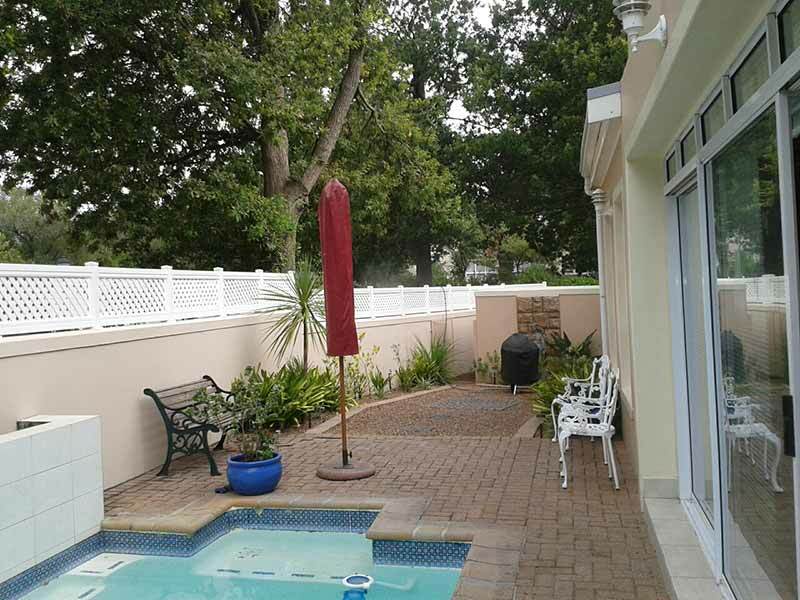 Contact us today and we’ll install a beautiful hassle free fence with a life time of zero maintenance. 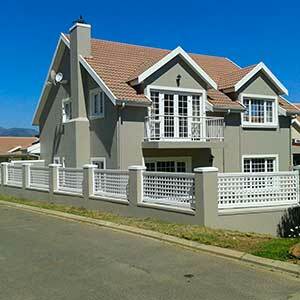 No Maintenance means Absolut PVC Fencing systems are the obvious choice in Residential Estates.